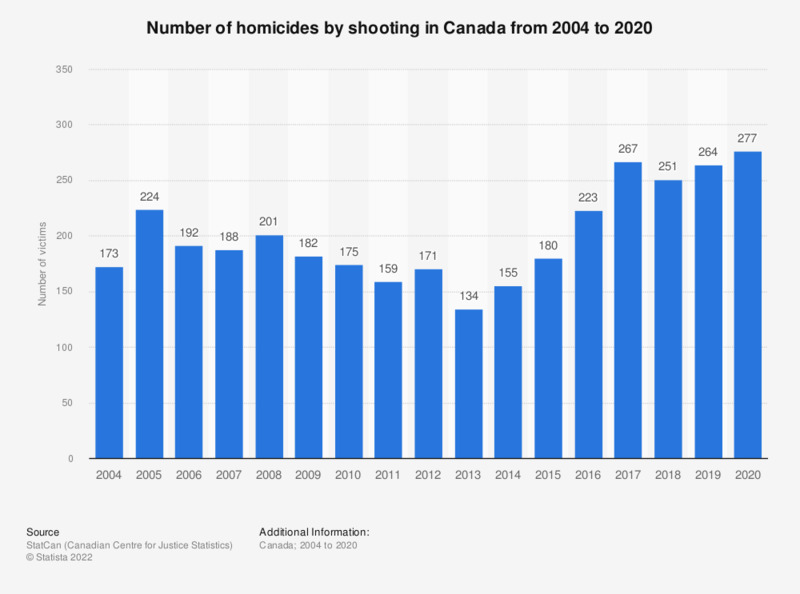 This statistic shows the total number of homicides by shooting in Canada from 2003 to 2017. In 2017, a total of 266 victims died by shooting in Canada. Data for year 2003 has been derived from this previous publication. Data for years 2004 through 2013 was derived from this previous publication.